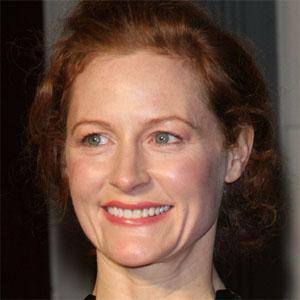 Irish actress internationally recognized for portraying Lily Potter in the Harry Potter films. She also appeared in Gosford Park, which won a Critics Choice Award for Best Acting Ensemble from the Florida Film Critics Circle. She studied at the Arts Educational boarding school as a child. She became known to UK television audiences for playing Jane Penhaligon in the series Cracker. She married William Osbourne-Young in 1998. She and William have three children named Casper, Arthur and Rose. She had a supporting role opposite Michelle Williams in the 2011 biographical film, My Week with Marilyn.